It is well with my Soul.. – Journey to my heart…. Yesterday was a day full of family, remembering, reflecting, laughing and enjoying and Worship…. There is something so amazing to worship that even on a good day, I can often find my heart tender and touched by the words of the songs we sing…. And so yesterday, surrounded by my family at Shawnee Park CRC and very aware of Len’s absence, I felt especially tender and expectant of God’s presence. We sang a hymn to the tune of the Navy Hymn which we sang at Len’s funeral….Len would have loved it…. We sang Wonderful, Merciful, Savior and I was struck by how real the words feel in these past weeks…Len would have loved it…. Christmas 2012 has left us changed forever. 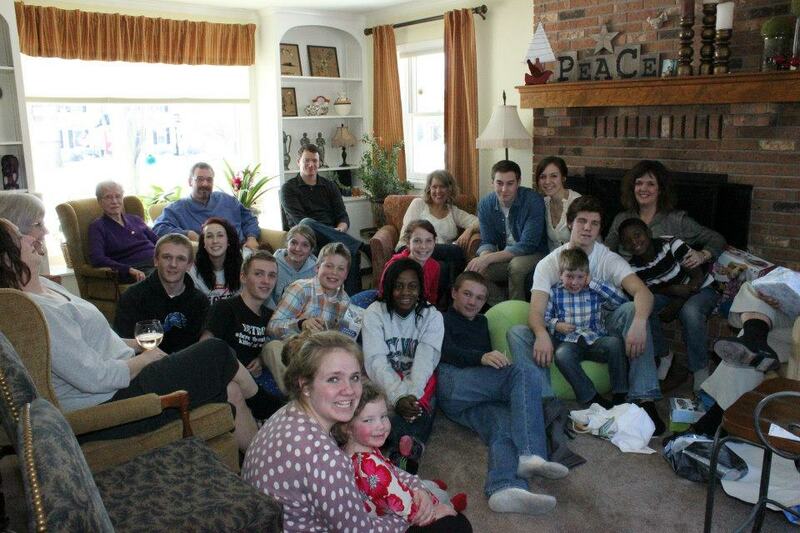 As we gathered for our family Christmas it was a beautiful time of looking back and enjoying all the moments held. Our hearts are full and I am thankful for my family who lives life honestly together. So happy it is well. What a blessing your family is! Thank you so much for this. Our hearts were with you on Sunday. Hope to have dinner with your Dad this evening. Hug for you!